Global Center on Cooperative Security » Blue Sky IV: Clouds Dispersing? Blue Sky IV: Clouds Dispersing? 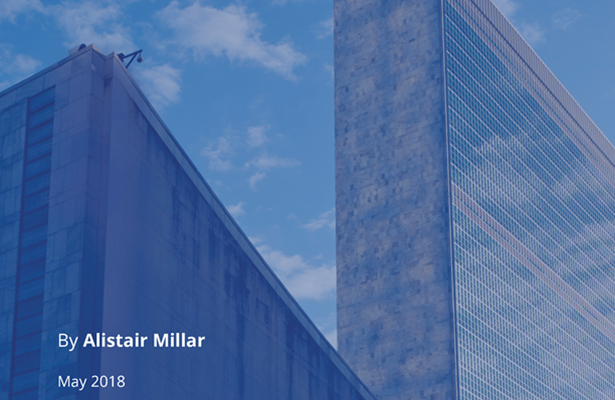 Building on its previous analyses of the UN’s counterterrorism programs, the Global Center, with the generous support of the governments of Norway, the Netherlands, and Switzerland, has produced an independent report containing recommendations to support multilateral efforts to address terrorism and violent extremism in advance of the sixth review of the UN Global Counter-Terrorism Strategy in June. In addition to identifying ways to improve the development, coordination, delivery, and impact of the UN’s efforts, the report looks at what can be done to ensure that the sixth review can be used to more systematically assess the effectiveness of the UN efforts to support the implementation of the Strategy at headquarters, on the ground, and, importantly, between the two. The aim, therefore, is to lay the ground work during the sixth review to ensure that the seventh review in 2020 and subsequent ones can more rigorously take stock of the progress made by member states and by the United Nations to further the implementation of the GCTS.